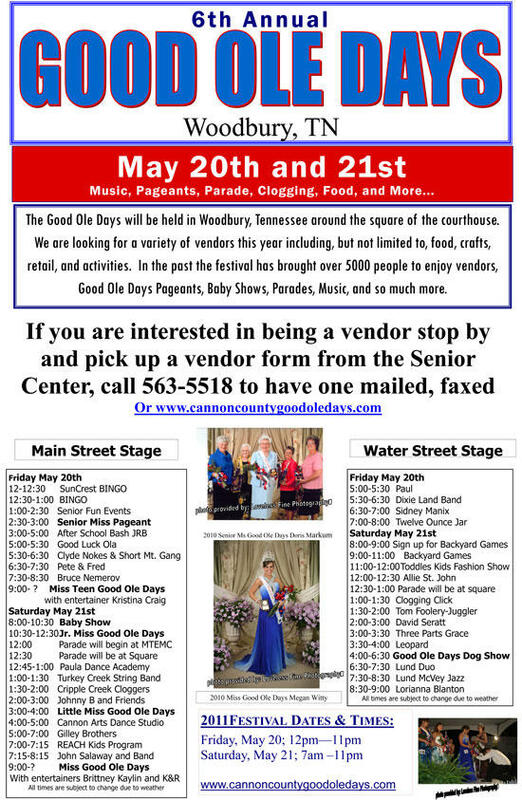 Cannon County is only days away from its annual Good Ole Days. Cannon County trustys, under the supervision of Darryl Fisher, are busy preparing the grounds of the historic courthouse. Pleasant weather is in the forecast with highs in the mid 80s, lows in the 60s and only a 30 percent chance of rain on Saturday.